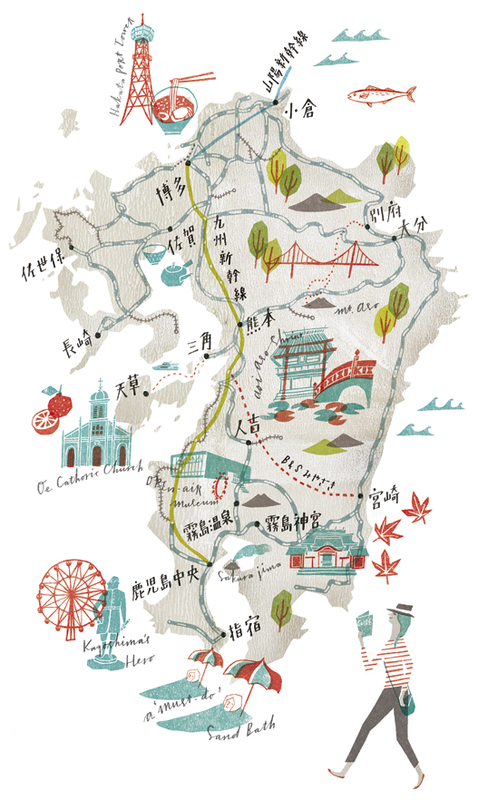 Masako Kubo draws amazing maps. I love the way she illustrates. Like this map of Kamakura below. 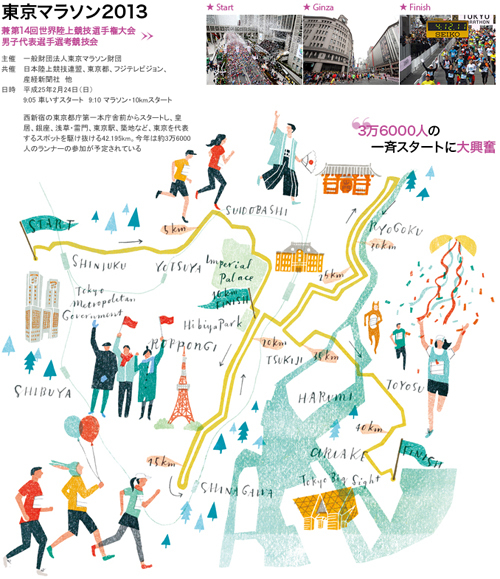 And did you know the Tokyo Marathon 2013 is this coming weekend? World Marathon Major Series starting this year. The others are Boston, London, Berlin, Chicago, and New York. Apparently Tokyo is the first one to join in Asia. for the latest issue of metropolitana. This marathon course is pretty much a tourists paradise. and ends the race in Odaiba. I’ve always wanted to go cheer everyone on. And also see Jesus Christ. and runs the marathon with a cross on his back. Maybe I’ll spot him this year. on Sunday, February 24, 2013.